Read These While They're Still Free : Deceptive Cadence This summer, The New Yorker has thrown open the gates to much of its archive. Read these five classical music profiles and essays for free while you still can. 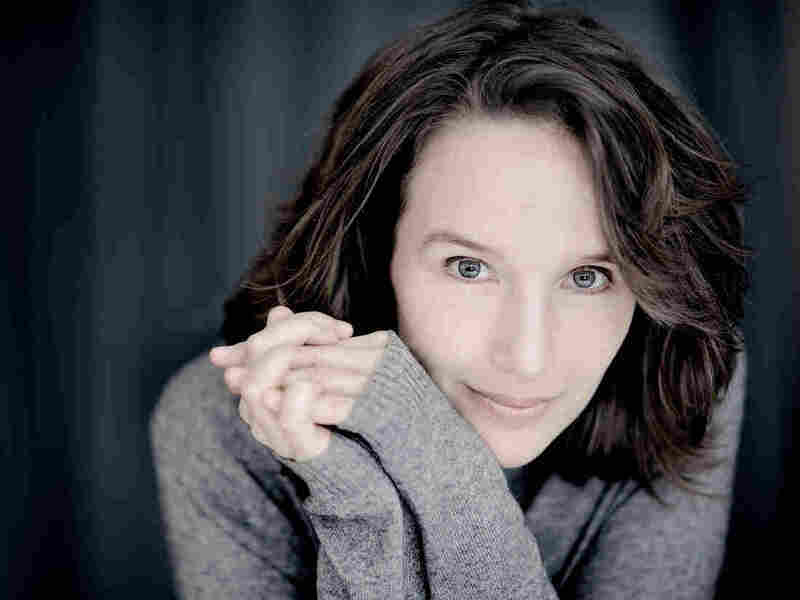 Pianist Helene Grimaud, the subject of a 2011 New Yorker profile. Last month, The New Yorker announced that it was teasing a new "freemium" version of its website (which launches this fall) with an alluring proposition. All of its most recent pieces, plus the full archives back to 2007 and some even older selections, are free for the rest of the summer. So we took this opportunity to dig up some delicious classical music-minded pieces from the magazine's archives. They're perfect long reads for a lazy August afternoon. David Remnick on Lang Lang. The magazine's editor in chief published this profile of the world's most popular pianist in 2008, on the cusp of the Beijng Olympics. Remnick pairs astute observations about how the pianist was groomed for success ("Lang Lang is no athlete — he is as sedentary as a veal calf in a dark shed") with thoughts on the cultural context that aided his rise to superstardom: "Lang Lang is a superb, evolving musician, but he does not earn the money he does because he is better than, say, Maurizio Pollini, Martha Argerich, or, in truth, a dozen others. He earns it because of his shiny novelty and flair, and, perhaps especially, because he is an avatar of the Chinese ascendance." Jeremy Eichler on Christian Tetzlaff. The Boston Globe critic's 2012 profile delves into the attention the German violinist has paid to 20th-century concertos (Schoenberg and Ligeti in particular), but Eichler spends even more space on Tetzlaff's semi-mystical approach to music making: "Since the time of Paganini, violin virtuosos have tried to overwhelm audiences with feats of agility. Tetzlaff is after something different. A character actor in a field of matinée idols, he prefers to disappear into the sound world he creates onstage. 'You become the thing,' he says. 'Or that's the hope.' The Finnish conductor Esa-Pekka Salonen, with whom Tetzlaff has worked for more than two decades, says, "What always strikes me when I hear him playing, and when I work with him myself, is that it's not about the violin. It's about music being realized, and abstraction becoming reality, through the violin. He happens to play it extremely well, but that's not the point." Alex Ross on Joyce DiDonato. The magazine's endlessly erudite classical critic occasionally brings his trenchant observations to pieces outside the musical sphere, but also to character portraits as well. A prime example is this 2013 profile of mezzo Joyce DiDonato, in which Ross sketches out her playful personality in a few quick strokes: "Her conversation is mercurial, with personae flitting in and out: the Country Gal ('Ahm not soundin' very erudite today'), the Airy Diva ('How glad I am that we had these few stolen moments'), the Young Person ('Um, oh, my God, Rossini is, like, amazing?'). She is ambitious, impatient with routine, and unintimidated by conductors and directors who condescend to her." D. T. Max on Hélène Grimaud. All too frequently, this French pianist is doted on in the media as a wolf-obsessed Manic Pixie Dream Girl for the Carnegie Hall set. But Max, a New Yorker staff writer, gets at something deeper: "Grimaud doesn't sound like most pianists: she is a rubato artist, a reinventor of phrasings, a taker of chances. 'A wrong note that is played out of élan, you hear it differently than one that is played out of fear,' she says. She admires 'the more extreme players ... people who wouldn't be afraid to play their conception to the end.' Her two overriding characteristics are independence and drive, and her performances attempt, whenever possible, to shake up conventional pianistic wisdom." Jeremy Denk's "Every Good Boy Does Fine." Subtitling this essay "A life in piano lessons" (which became the seed of a forthcoming book), the pianist and writer reflects on what various teachers tried to impress upon him over the years. He writes gleefully about the murderously mundane aspects of practicing: "One of the recurring story lines of my first years with [early teacher William] Leland was learning how to cross my thumb smoothly under the rest of my hand in scales and arpeggios. He devised a symmetrical, synchronous, soul-destroying exercise for this, in which the right and left thumbs reached under the other fingers, crablike, for ever more distant notes. Exercises like this are crucial and yet seem intended to quell any natural enthusiasm for music, or possibly even for life. As you deal with thumb-crossings, or fingerings for the F-sharp-minor scale, or chromatic scales in double thirds, it is hard to accept that these will eventually allow you to probe eternity in the final movement of Beethoven's last sonata. Imagine that you are scrubbing the grout in your bathroom and are told that removing every last particle of mildew will somehow enable you to deliver the Gettysburg Address."